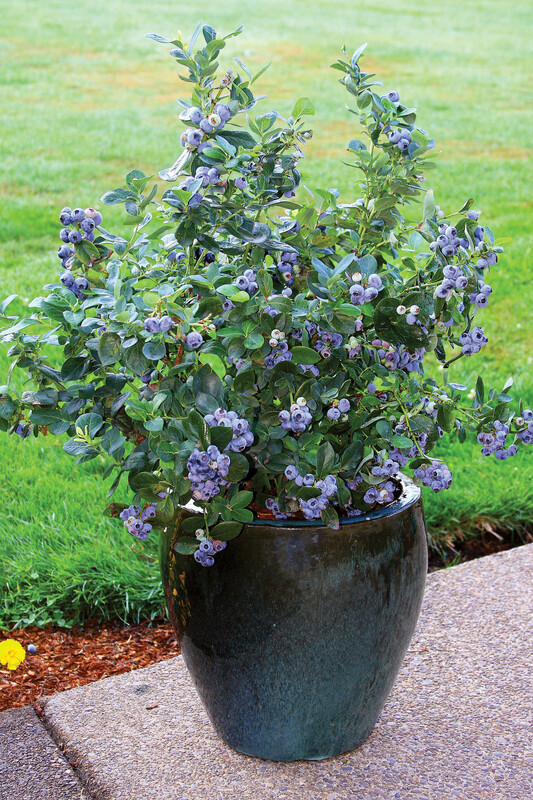 A recent article written by Greenhouse Grower News highlights an important trend concerning increasing consumer interest in cultivating blueberries as an ornamental edible crop, and offers helpful guidance for nurseries interested in capitalizing on this trend. Blueberries make an interesting, beautiful, and sustainable crop that can be successfully grown in the ground or in containers, making them ideal for a balcony in the city or a landscape in the suburbs. Yes, you can have it all: beautiful, sustainable, and edible! This is a recent trend the article notes will increase as consumer interest in edible ornamentals continues to grow. The Greenhouse Grower News article also highlights the importance of growing blueberry varieties suited to local climate conditions – the most common mistake made by growers is not matching plants’ chilling requirements to local growing climates. Too often beginning home gardeners give up after their blueberry plants don’t yield the expected quantity of fruit, attributing the poor yield to causes other than choosing plants poorly suited to their environment! In addition to important climate concerns, the other great way for nurseries maximize a home gardener’s success is to diversity their variety selection and offer plants with a range of fruiting dates and plant vigor. This is the best way to ensure a long and bountiful fruiting season. Nurseries can market multiple varieties in close physical proximity to ensure that customers know to select more than one variety for cultivation. You can read more about this and other tips for maximizing the growing interest in ornamental blueberry crops in the Greenhouse Grower News Article online. Long ago Fall Creek began breeding for ornamental edibles and have launched our own collection of unique ornamental edible berry varieties. BrazelBerries™ will begin appearing in independent garden centers around the U.S. next spring. To learn more visit our BrazelBerries™ website.